We’re Gettin’ Fancy with the BBQ! Get ready to get messy for one DELISH Family Dinner BBQ Bash. This isn’t your ordinary Summer BBQ! 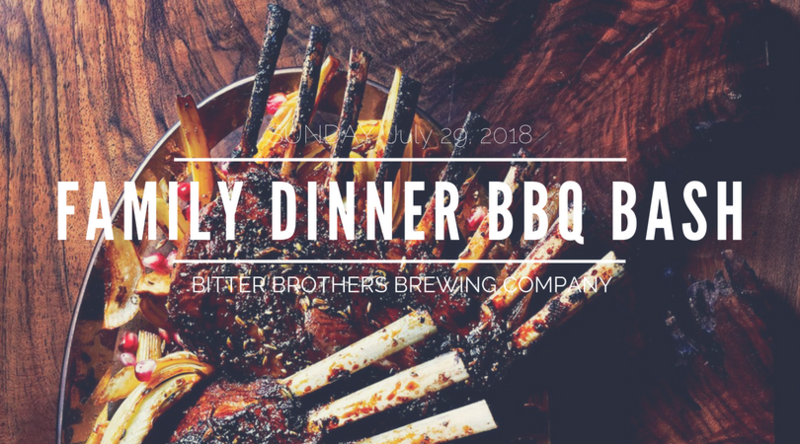 We’re turning it up a notch with San Diego’s premier BBQ masters who will be churning out their best flavors paired with Bitter Brothers’ family brews. Get your seats early because this lineup ensures a quick sell out! Special thanks to our media partners at Baron’s BBQ Beat. Chicken breast bite, weaved in bell pepper and honey cured bacon with a teriyaki pineapple glaze. Texas turkey and mashed taters with smoked gravy. Mesquite smoked brisket, red bean puree and rice. HIckory smoked baby back ribs, three cheesy grits and Gran Gran’s collard greens.